Hilkka is a social worker by profession and expert by experience. Suffered reactive depression in 2002. Has worked both for the City of Helsinki and the City of Espoo in Child Welfare for many years. Worked as a Senior Social Worker in Probation and After Care Association in Helsinki for seven years. Was from 1998 until 2002 Executive Director of Finnish Central Association for Mental Health, which is the biggest Mental Health Patients’ organization in Europe with about 18 000 individual members. Has been President and Vice President of Mieli Maasta, which is a patient association for those suffering from depression. Worked for the City of Järvenpää as a Planner of Regional Mental Health Care in 2004-2005. 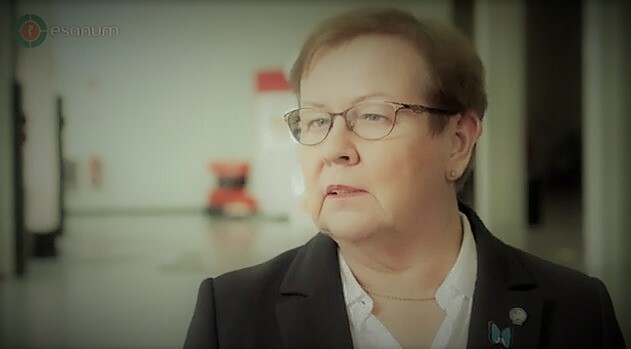 Retired from her job as Social Ombudsman in Sosiaalitaito in May 2014. Represented GAMIAN-Europe on the Board of EFNA (European Federation of Neurological Associations) in 2002-2004. Was President of GAMIAN-Europe once before in 1999. During the General Assembly in the frame of the Annual Convention held in Vienna in September 2016, Hillka has been elected by the board members as the new GAMIAN-Europe president.